Thank you for all of the enthusiasm for the shopping book! It makes writing a long tutorial so much easier when I know people are actually interested in having it! As I was making the felt food for my shopping book, I realized my three-year-old is a little beyond the felt food for this. To step it up a notch, I actually made soft cards with the picture and the word to help introduce a little educational take on this project. I will share those with you, too! The book tutorial is long (but not difficult! ), so I will post the food cards tutorial next--HERE. *1/3 yard fabric inside of book (Try to keep it plain so it doesn’t compete with all of your felt food or grocery bag.) I’ll call it “inside fabric” throughout the tutorial. NOTE: Be sure to cut the largest pieces of fabric (12 x 22 inch covers) first. I wrote the directions the same way I made the bag so I don’t have cutting instructions first like I normally would have, but the required fabric yardages assume you are economizing by the way you cut the fabric. Cut a 12 x 22 inch piece of inside fabric. Using 1/4 inch seams, sew fabric to the craft stabilizer. The fabric will slide as you sew it, so be sure to pin generously and smooth it down as you sew it. I will call this piece the “backing” since we will sew things to it. Cut a 12 x 11 piece of inside fabric to make the pocket. Hem one 12 inch side by turning in 1/4 inch and press. Turn in another 1/2 inch and press again. Set aside. Cut 2 pieces of grocery bag fabric—8 1/2 tall inches x 12 1/2 inches wide and 8 1/2 inches tall x 9 inches wide. Hem the top edge of both pieces the same way as the pocket piece. Place the larger piece on top of the smaller piece with both pieces facing up. The top piece will have the wrong side against the right side of the bottom piece. Sew together along the left side (8 1/2 inches side) with a 1/4 inch seam allowance. Press the seam flat and press the seam allowance behind the back piece and towards the center of the bag. Repeat for the other side. The top piece will be bigger than the bottom piece. Turn the bag inside out and flip it over. The longer piece will be inside out, the shorter one will be right side out and facing you. Center the smaller section between the excess fabric from the top piece. Press the sides (inside out) flat. Turn right side out. Tuck in the sides to make folds like a paper bag. One edge will already be creased. Press flat. Set aside. 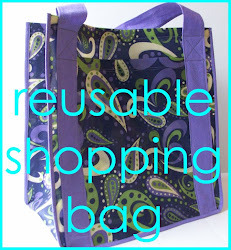 To make handle for grocery bag, cut a strip of outside fabric 2 1/2 inches wide x 20 inches long. Cut interfacing 2 1/2 inches wide x 10 inches long. Fuse interfacing to center of wrong side of strip following the manufacturer’s instructions. There should be 5 inches of non-interfaced fabric on either end of the strip. Fold strip in half, right sides together, and sew along long edges with a 1/4 inch seam. Turn right side out and press flat with seam to one side. Fold 5 inches on the ends in half the long way with fold to the outside and press flat. Place grocery bag on pocket piece with right edge of bag along the stitching of the hem of the pocket. Place handles about one inch under the bag to determine placement. Pin in place. Sew handle in place along each edge of the handle (about 1/8 of an inch). Stop 3/4 of an inch before the top. Reinforce with a box and an X of stitching as seen in the picture. Sew bag in place by placing it on top of the pocket piece and handles as before. Sew it to the pocket piece by sewing close to the edge through the back creased fabric only. Do this on the left and right sides of the grocery bag. NOTE: I did not sew along the top (back piece only), but wish I had. It will be a little awkward and you probably won’t be able to get in all of the way to each side, but you can come close. This is the point at which you will want to sew the back piece of the grocery bag down to the pocket section. I ended up gluing mine because I didn’t want to take my book apart to get to it, but I wish it had been sewn in place. Reinforce the edges by sewing past the top edge of the bag 1/4 inch and sewing over this 2 or 3 times. Using 1/4 inch seams, sew the pocket to the backing piece along the top, the left side and the bottom edge. The wrong side of the pocket should be facing the right side of the backing piece. Be sure to fold the handles down so they do not get sewn to the backing along the edges. 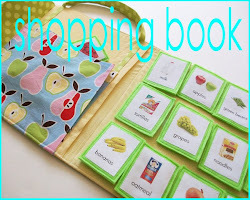 Along the bottom, you will also be sewing the grocery sack to the backing at the same time. Cut 3 velcro strips (soft side) to 10 3/4 inches. Place the edge of the velcro (soft side) (NOTE: I used the soft side so it wouldn't rip up my book, but the food cards all stick to each other so you may want to switch it.) on the right side next to the stitching line from sewing the inside piece to the Pellon. The bottom of each velcro should be placed at 1 1/2, 5 1/4 and 9 inches measuring up from the bottom edge of the backing piece. Sew velcro in place along the top, bottom and left edges. To make the flap that holds the book together you will need to print the pattern twice (disable “scale to fit”), cut it out and tape the pieces together. The total length along the bottom straight edge is 11 inches. Using the pattern, cut 2 flap pieces from outside fabric and 2 flap pieces from interfacing. Iron interfacing to wrong side of each flap piece according to manufacturer’s directions. With right sides together, sew along the curved edge with a 1/4 inch seam allowance . Leave open across the bottom edge. Clip the curves by snipping from the edge to the stitching line without cutting through the stitching. Snip about every 1/4 inch. Open out flat and sew a square of velcro (rough side) in the center of one side about 1/4 inch from seam. Flatten with wrong sides together, press and topstitch along curved edge about 1/8 of an inch from edge. Place the raw edges of the flap along the edge of the backing piece on top of the grocery bag. The side of the flap with the velcro should be face down. Be sure the handle piece is tucked out of the way. Sew along the edge with a 1/4 inch seam. Cut a piece of 12 x 22 inch outside fabric. Sew ric rac 4 inches from the bottom along the length of the right side of the fabric. Place the outside cover over the backing piece with all loose parts (handle and flap) towards the center. Right sides should be together. Carefully sew around all four edges using a 1/2 inch seam allowance. Leave a wide opening along the bottom for turning. Do not leave open at a corner—the corners will look nicer if you sew around them first. Trim across each corner. Trim the seam allowance to 1/8 inch on all sides except where the opening is along the bottom. Carefully pull the book through the opening to turn it right side out. It will be puffy and bizarrely shaped, but don’t worry. Press around the edges to flatten them. At the opening, press the 1/2 inch seam allowance to the inside and press edges flat. Topstitch around the entire book. I tried to stay at 1/8 inch, but it was very thick and ended up being a little wider. Sew the other velcro square (soft side) to the back of the book. It will show on the front, but you want it to sew through the backing to help stabilize it. This way, it is less likely to rip through the fabric after being pulled on repeatedly. Also, the stitching line is near the velcro on the inside so it is very inconspicuous. Using a piece of masking tape as a guide, sew through all thicknesses down the center of the book to help the book open and close more easily. There you go—ready for the store. The grocery bag handle doubles as a handle for the book. The pieces store easily on the velcro “shelves,” in the pocket. or in the grocery bag, of course! 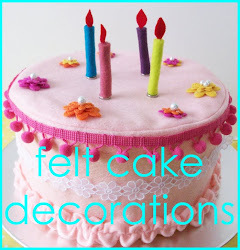 You can go HERE to find the tutorial for making the felt food and the soft food cards. I’d love to see a picture if you make a shopping book! I'm linking this idea to THESE link parties. I'd love it if you voted for my tutorial in Amanda's Top Twenty HERE! You're a genious! LOVE this! i love this. i showed it to my kids & they are so excited about me making it. & since I have 9 loong days before this next baby comes, i was looking for a project i could do this week, or at least start:) thx! These are adorable! You should consider selling them on Etsy! This is amazing! I am working on my degree in speech-language pathology and your project is perfect for emergent literacy skills in children. It is a great way to teach picture-object recognition, phonemic awareness, and bond with your kids. I LOVE LOVE LOVE it. I am definitely following you. that is awesome!! what a cute idea! thanks for sharing! That is a fabulous idea and my 3 year old would be so proud to have one! LOVE this idea! Sure beats my pathetic drawings of each thing we're getting. THANK YOU SO MUCH FOR SHARING!! I plan on making one soon!! If that's not okay let me know. Tammy! Are you kidding me?! This is absolutely darling!! And what a fun tutorial!! Well done!! adorable project and great tutorial! thanks so much for sharing on Craft Schooling sunday, great to see you! You are in the top 10 at Today's Top 20 for Blogger of the month! Congrats! Time to get your vote on! :) Good luck! Oh my goshness! This is so cute, I'm so making these for my boys, anything to keep a little quiet in the trolley as we go round the store! Oh, the apple and pear fabric is gorgeous, could you let me know the designer please! Thanks for sharing a wonderful tutorial. I found your blog on Fireflies and Jellybeans. You are brilliant! Thanks for the tutorial! That shopping book is pretty cute and a great idea! I would have loved to have one of those when my kids were younger. 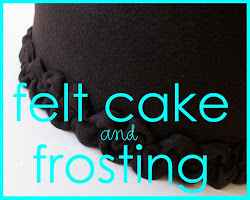 I found you at Homemaker on a Dime's blog hop, and thought I'd follow you. I'm #1001. Have a good day! That's a lovely idea! Your blog is great. I am following you from the Homemaker on a Dime party. I'm so impressed! Great job! Thank you for sharing this at the Creative Bloggers' Party & Hop :) I hope you'll join us again starting 5 pm this Sunday, PST. Also, I'll be featuring this tutorial next week! Thanks for the inspiration! I'm a new follower. What a GREAT idea! Another project to add to my ever-growing to-do list, because my two-year-old boy is the worst shopper ever. :) Wonderful job, especially the food cards! This is super fabulous! I think that I can actually make this for my daughter for Christmas!! Wow! Thank you for sharing this in depth tutorial. I plan to make a few in the near future to have on hand as gifts for all of these toddler parties. Thanks again! I have a nonverbal autistic son and this is a wonderful activity for him!! You are brilliant! I'm going to start sewing it today.